In 2015, a New Jersey church contracted with a well-known pipe organ builder to rebuild and enlarge their existing Wicks pipe organ. That’s when problems began. The $125,000 contract was structured with payments throughout the rebuild process. However, the milestones were not well-defined. After more than two years, the church questioned the builder regarding a completion timeline. The builder scheduled the installation for April 2017 and requested the second-to-last payment. The builder assembled the front of the case in the balcony, as pictured. 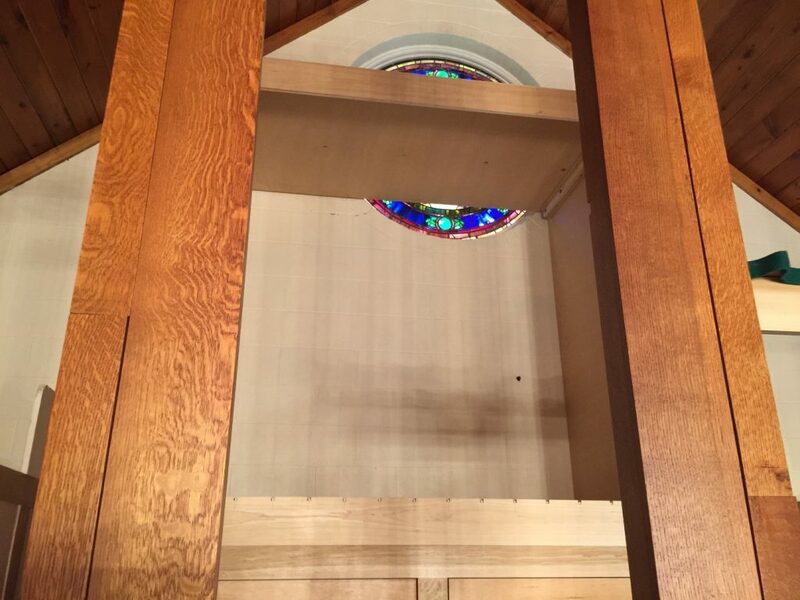 However, the casework blocked the rose window, an issue specifically addressed during the design process with drawings indicating the window would be viewable. The church was also concerned by the lack of craftsmanship. Other than the front case frame, none of the wood was finished. Additionally, toe boards were double drilled and it was apparent that, other than the front case framework, nothing had been erected in the shop or tested prior to shipment. In addition, half of the pipe ranks from the original organ were missing. The builder dropped off crates of pipes that were unvoiced with most missing their languids. After partially assembling the case and collecting the next payment, the builder started working on another project, neglecting this earlier customer. The project was not completed and the original Wicks pipework was never recovered. The church demanded that the builder dismantle the casework and then purchased a new Allen digital-pipe combination organ. Customers should be weary of pipe organ providers who quote bargain prices. Organ-editor,…something wrong here,…SERIOUSLY wrong. You either have a WRONG photo,or this article isn’t fact This Fountain Street Church in Grand Rapids,Michigan,…NOT a church in New Jersey. Their organ is an Austin Opus #2782 that was installed in 2003. Sorry to have to tell you this! This was pointed out to me on http://www.organforum.com! I have to question an article for the first time! Thanks for the correction that has already been made to the posting. You have helped improve the Site.